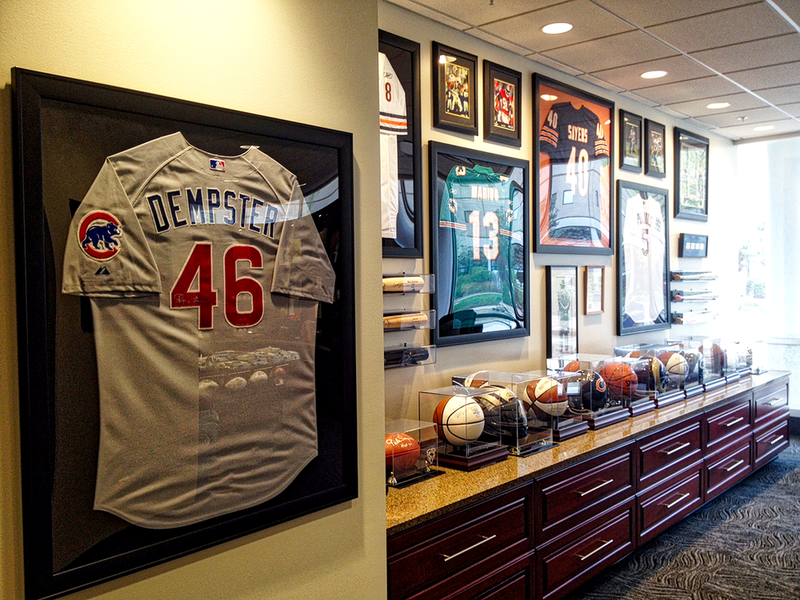 To take inventory on Steve Bjelich’s collection of sports memorabilia, design a detailed layout and install as designed with help from facilities management. 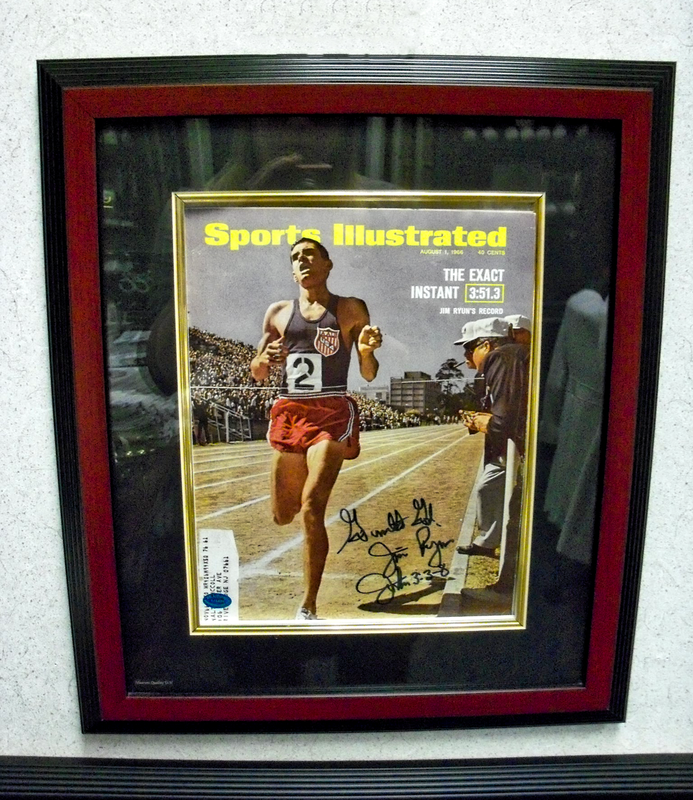 Steve has been collecting sports memorabilia for several years now. The hospital added on an administration wing and the entire department relocated. Steve’s old office was very small, dark and his vast sports collection had clearly taken over the entire space. A clean, organized and structured layout was to be developed working through Mark Thompson (Senior Marketing Account Executive). 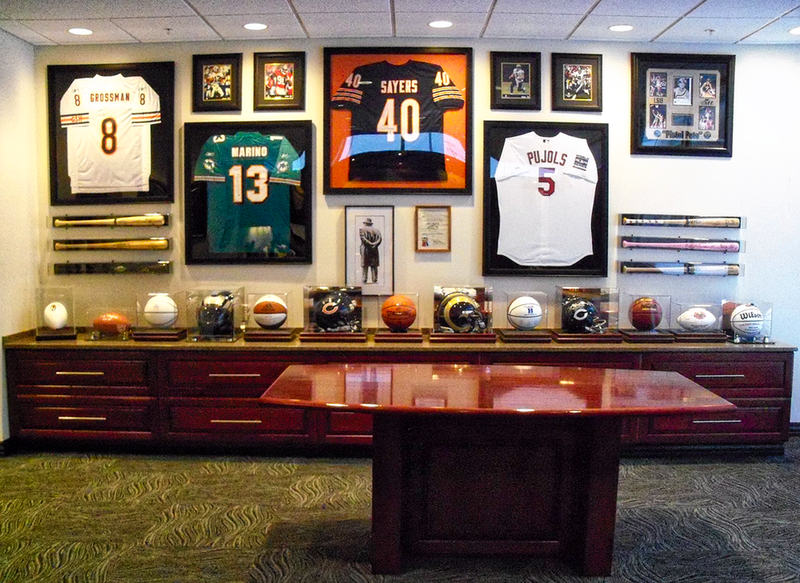 Steve Bjelich, St. Francis Medical Center’s President and Chief Executive Officer, is a hard working sports enthusiast, who loves collecting sports memorabilia from the games and events he has attended and people he has met over the years. Moving from a small dark office into an executive half glass- more modern suite. • The modern, open and organized feel of Steve’s new office suite. I can only take a fraction of the credit for how well this space turned out. Thanks to the architect who designed the space and the custom cabinetry that was designed and fabricated with Steve’s memorabilia in mind. • The challenge. I had one shot at collecting all of the pictures, descriptions and dimensions that I needed from his old office and his new office, I was provided with a set of cabinetry/office furniture layout and I was given one shot to execute the plan. I had one day to meet with Mark Thompson to go over the scope of the project, the cabinetry and furniture layout and to collect all of the pictures, descriptions and dimensions that I needed from the contents of his old office and any dimensions of his new office. 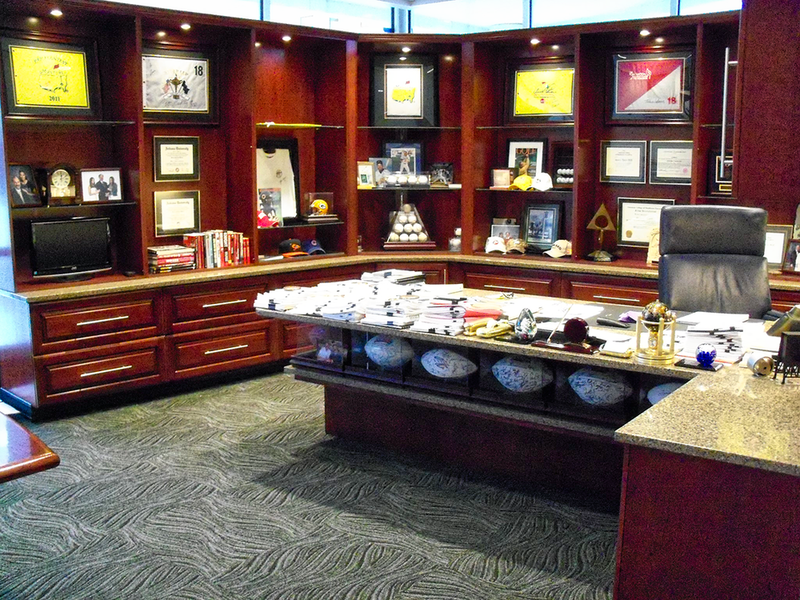 Once my detailed drawings were approved and construction was final I had one day and the assistance from the facilities management department to install all of the accessories and memorabilia in Steve’s suite EXACTLY as planned.